Modern, multifunctional, five-story building with commercial space on the ground floor. 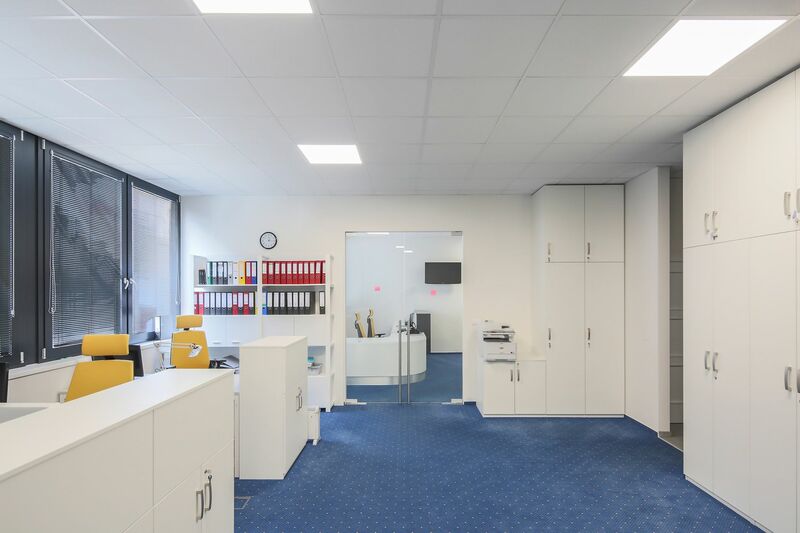 Newly built in 2015, it can be used as office space or company headquarters, and the ground floor can be adapted as a shop, café, restaurant, or it can be rezoned as an apartment building. 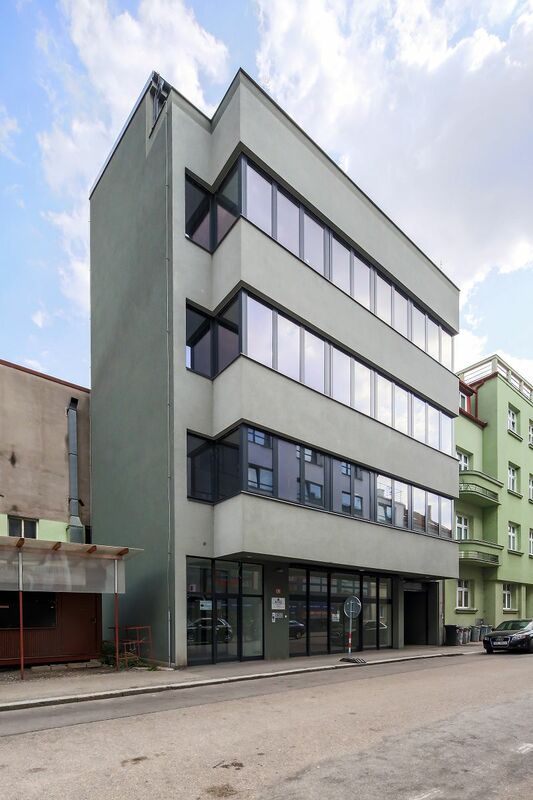 Office space in a modern office building in the center of Benešov with a total net floor area of ​​655 sq. 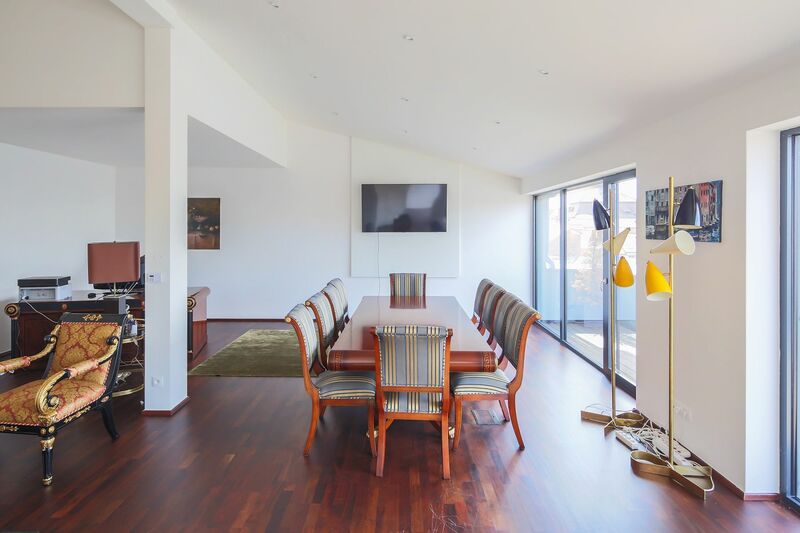 m. The building has a skeletal structure, and is complemented by spacious windows that bring in enough daylight and provide beautiful views of the city. 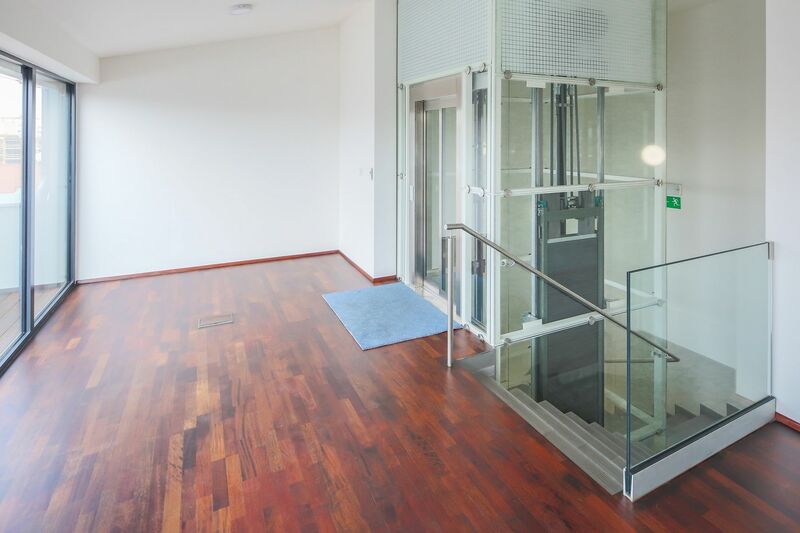 The interiors feature high-quality materials, a Schindler elevator, glazed walls between the offices and the meeting rooms, windows with external blinds, and an upper terrace that can be shaded by an awning. The whole building is air-conditioned, heating is provided by a gas boiler. Energy performance class C.
On the ground floor, there is a multipurpose space overlooking the street, which can be used as a shop, café, or restaurant with a floor area of ​​45 sq. m. and is connected to the office space. 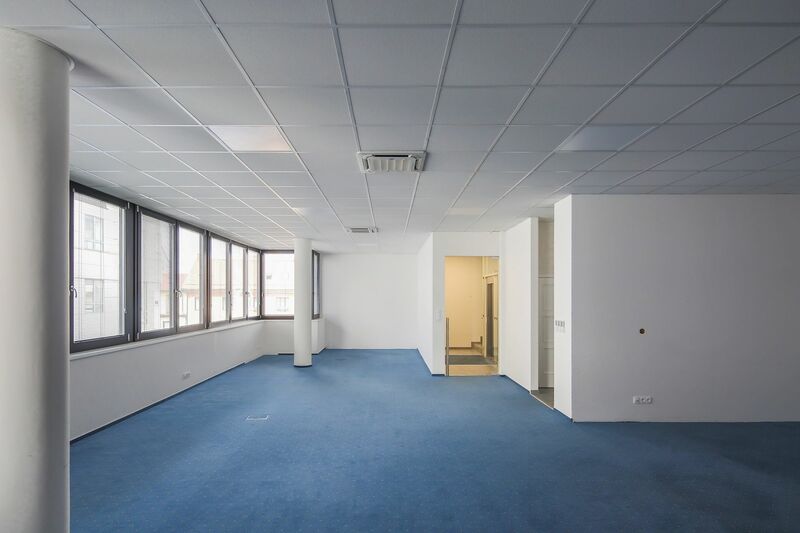 The 1st to the 4th floor offer office space complete with a small 10 sq. m. meeting room (on the 2nd floor). 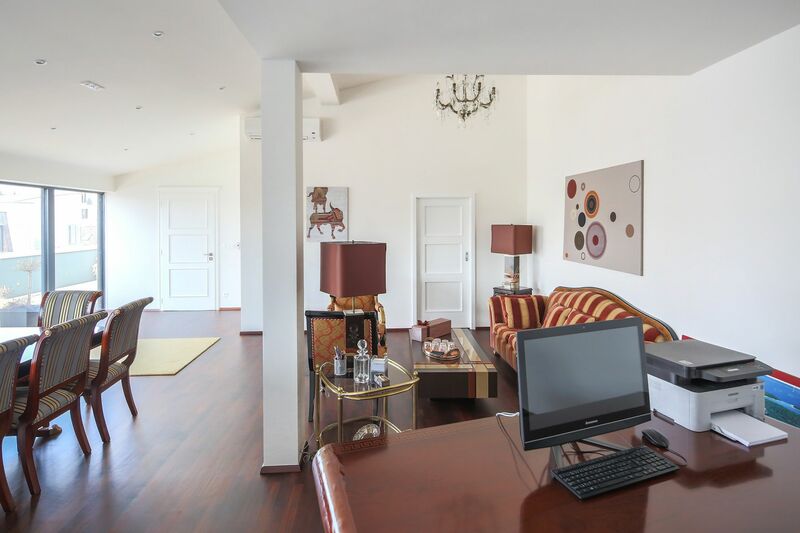 On the 4th floor, there is an elegant one-room office (53 sq. 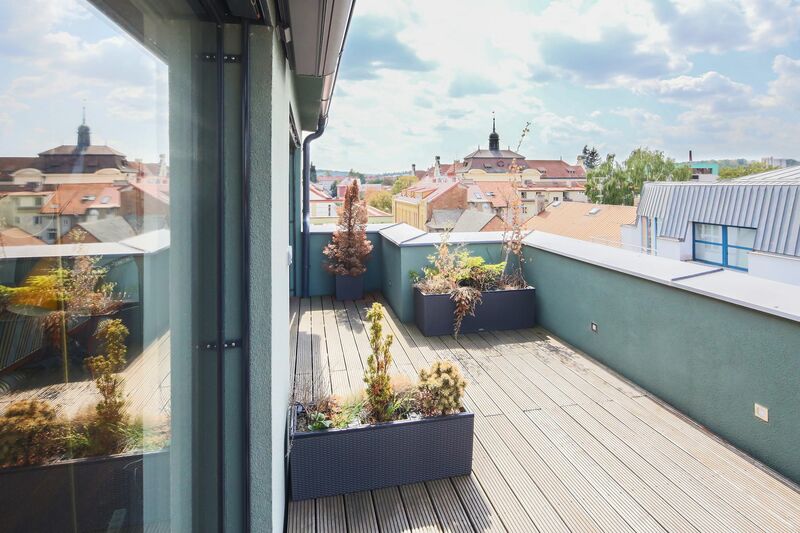 m.) with a terrace (37 sq. 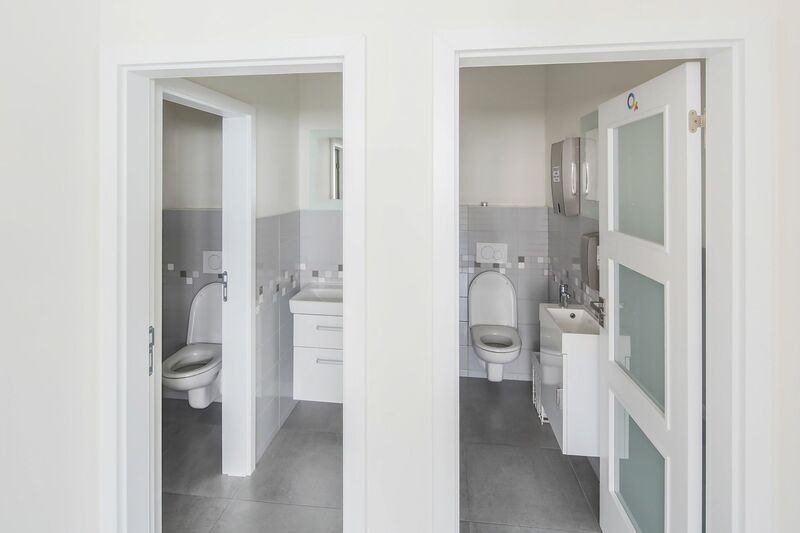 m.), high-quality wooden flooring, a bathroom, and a small kitchen. 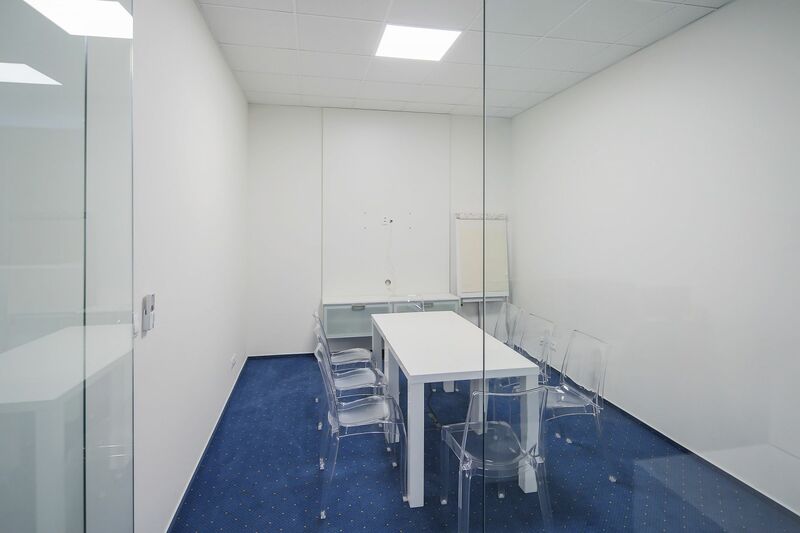 The room can also be used as a meeting room. 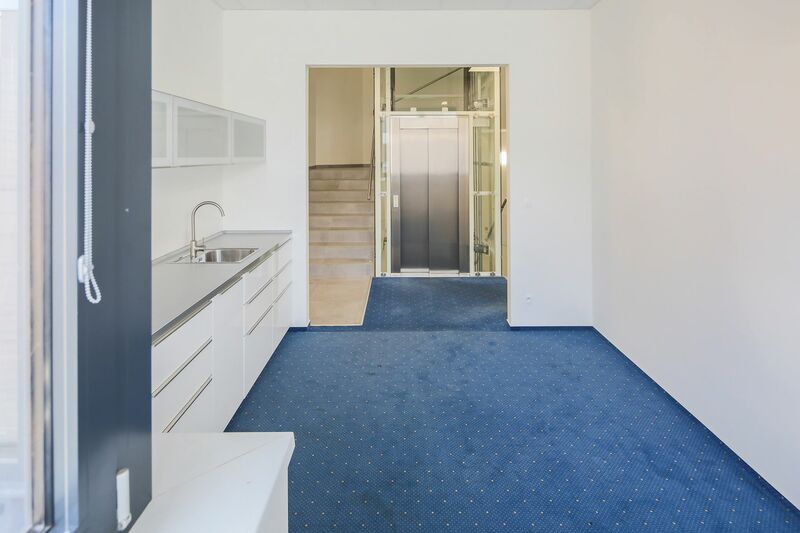 The building is situated in a pleasant location with all urban amenities close-by, and a parking space can be rented 100 meters away. The train station and bus stop are in close proximity (350 and 200 meters away). Net floor area 698 m2, built-up area 141 m2, terrace 31 m2.